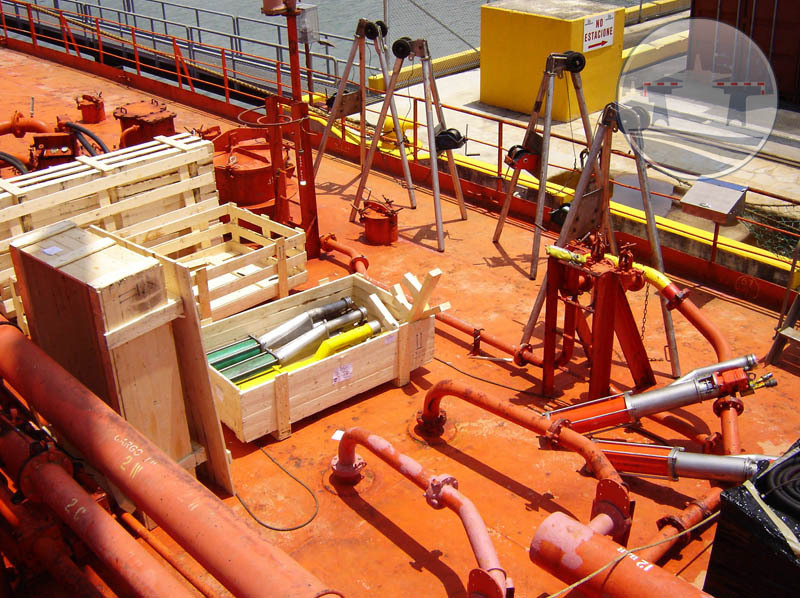 MariFlex hydraulic driven submersible (portable) pumps are specially designed for various specific liquid cargoes, from chemicals to high viscose oils. All MariFlex pumps are of compact and light design, this enables it to be handled through a standard 12” tank cleaning hatch, a so called Butterworth hatch; Exceptions are the MSP-150 and MSP-700 which have larger outer diameter to cope with its specific application. All MariFlex hydraulic driven Submersible Pumps are suitable for operation in hazardous areas, all have a zero overload risk when the pump is blocked and all portable pumps can be driven by a ship’s hydraulic system or a MariFlex portable powerpack.